The Campaign For Wool is an initiative supported by HRH The Prince of Wales as part of his drive for universal sustainability. The aim is to further promote wool as a sustainable and high performance material. Its properties as a natural fibre make it far superior to man made alternatives, and its benefits to the environment are overwhelming. 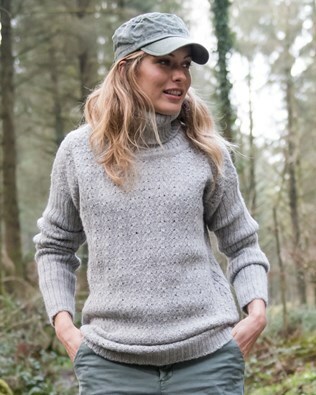 If you haven’t already, you simply must try out our gorgeous range of knitted wool products. Visit their official website here. Wool is a natural fibre, not man made. Significantly less energy is required in the production of wool products compared to man made fibre options – this ensures carbon dioxide emissions are kept low. Wool growers actively work to improve efficiency and care for natural resources, endeavouring to make the wool industry sustainable for future generations.